PURE nolbe Hispano-Shagya-stallion for sale! Approved for breeding. Tall and strong. Welcome to MANTHEY FAMILY Shagya and Hispano-Arab breeders in Germany! – registered in Germany and Spain. 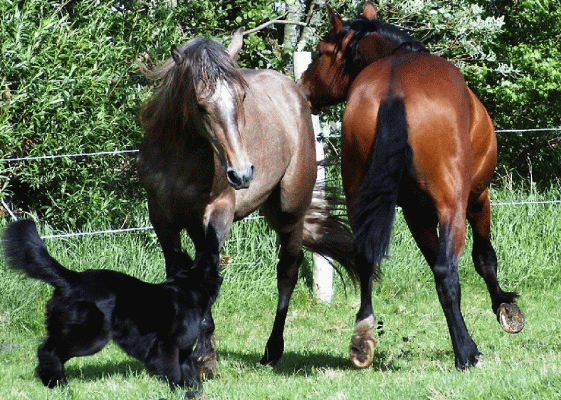 In the north-west of Germany, at the entrance to Scandinavia, we specialize in breeding high-class, beautiful and athletic pure Hispano-Arabian horses (Pura Raza Hispano-árabe, hispano-arabe, hispanoarabe, Aralusian, aralusian horse, pure Spanish Part bred). 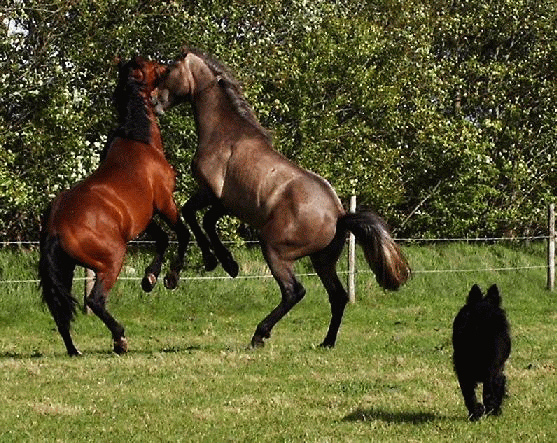 Our tall hispano-arabs become already athletic, robust and easy to handle when they play in their herd on our wide pastures in our fresh ocean air behind our house. As a result, we get peppy easy noble-power-spirited and with strong nerves. The Hispano-Arab horse breed could be considered as a synthetic breed formed in Spain at least two centuries ago, as a result of the farmers´ intention to create a horse for working and sports. Due to the perfect combination of the right sire and dam, we get dynamic horses that like working with their rider, showing a wide range of success in all sports. Like the Pure Arabian (Straight Egyptian and Shagya as well), this exotic breed is more intelligent and devoted to its owner or rider, than any other horse. The Arab horse gives the pep and willingness to master all kinds of work: Doma Vaquera and / Rejoneo, Garrocha to help the Spanish cowboys and toreros (Corrida), working western horse, reining, even jumping and completo (cross country), endurance. 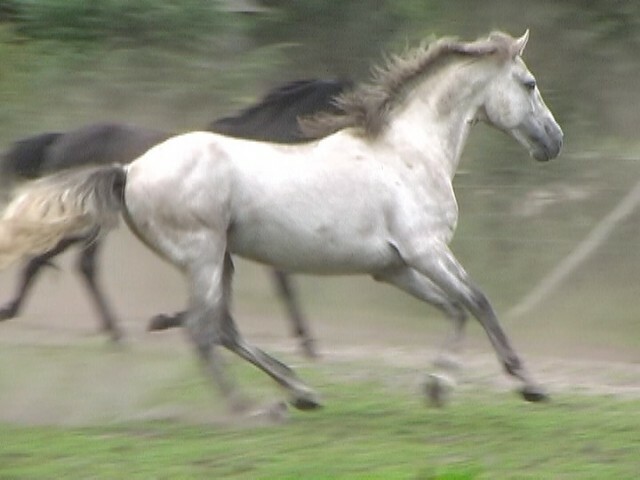 Its compact body, it inherited from the pure Andalusian (Pure Spanish, Pura Raza Espanola, P.R.E. ), enables it to master even higher classes of dressage ( Alta Escuela / Doma Classica, Grand Prix). The talents can vary according to the pedigree and donation of the individual horse, but an extraordinary versatility is typical for the Hispano-Arab. The temperaments can vary from calm to fiery, but every horse is cool, brave and easy. And supported by a real horseman you will find these horses in the championships (campeonato)! We are a breeder-family and focus on quality, not quantity. 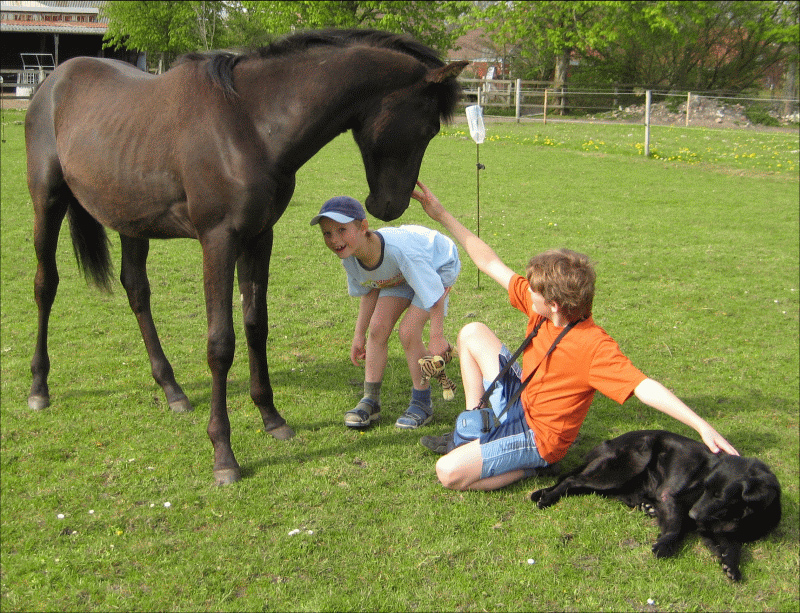 We want to breed beautiful horses with a noble character and performance, a gentle temperament and a correct athletic body. 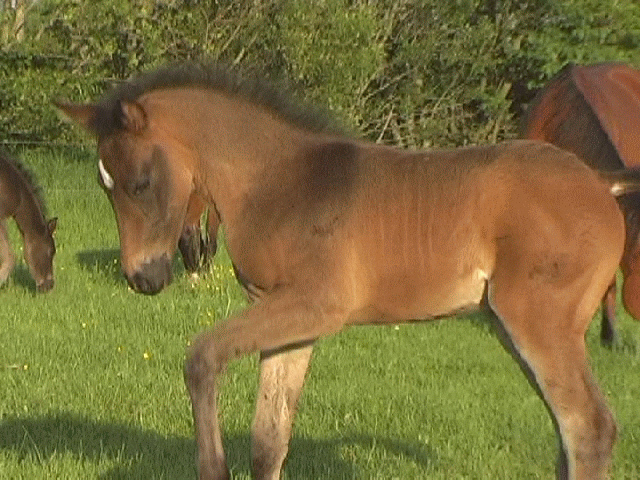 Early on we realized the value of the mare lines and have chosen our breeding stock accordingly. Our mares are not only beautiful themselves, but have pedigrees filled with fantastic and grand dams and sires (elite, refiner, champions). 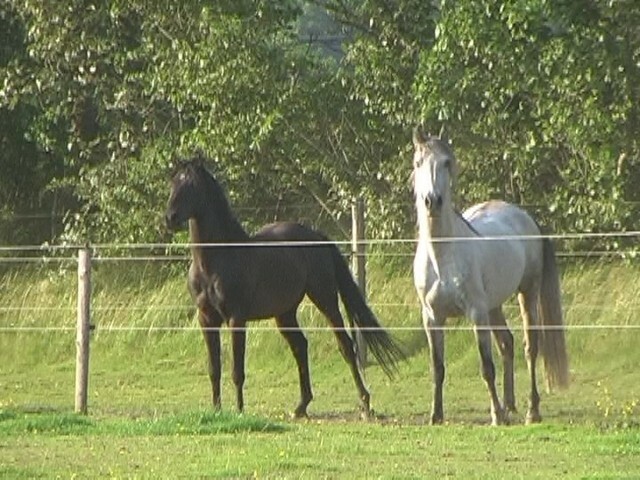 Enjoy the video-clips on the horses for sale -page or come along to spend a fantastic day or a marvellous week-end at the coast of North Germany, near the Nationalpark Wattenmeer (tidal mud-flats in the North Sea) and see our wonderful "caballos hispano-árabes"!